Anh of A Food Lover’s Journey approached us with this idea a while back and we’re so happy to help her with this mission. #2 Please make sure that your post contain the phrase Delicious Vietnam with a link to the host, and to the two founders – A Food Lover’s Journey and Ravenous Couple. If you use Twitter, please include the tag #deliciousvietnam in your post. 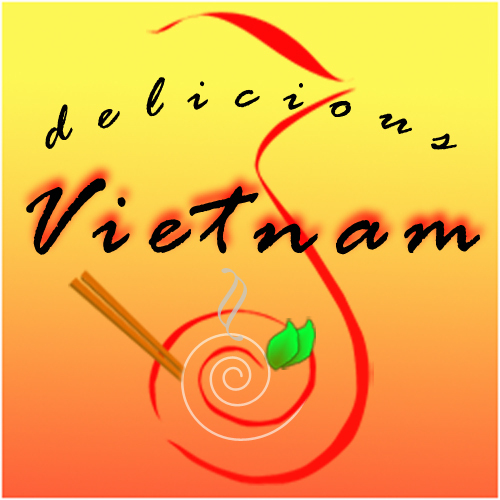 The inaugural round up of Delicious Vietnam will be hosted by Anh of A Food Lover’s Journey. To join this event, simply write up a post on Vietnamese cuisine and send it to Anh by 11 pm May 10, 2010 Melbourne Time (convert this to your timezone). Subsequent round up are tentatively set for the second Sunday of each month. 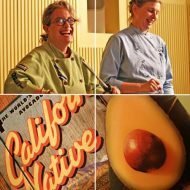 We can’t think of a better way of learning a culture than through it’s food– so we’re really looking forward to this cultural exploration and hope you join us! Please spread the word via twitter, Facebook, or any other social media. Thank you! I love it! What a great idea – I'm so excited to try my hand at some Vietnamese cuisine. Just reading your blog has made me realize how *little* I really know about it! Sounds like a cool idea. I'll try to think of a post for this. Maybe your suggestion Vietnamese Ice Coffee Ice Cream? Or some Che Ice Cream….endless possibilities. Thanks for stopping by A Little Bit Burnt to invite me to participate! Sounds fun – I've definitely been cooking a lot more Vietnamese food lately! Jen, Bao, and Tammy: we hope you all participate! Great idea… There are so many Vietnamese food that we love and they also are similar to Indonesian food. I will participate sometime in the future. Wow! This sounds like a great idea to celebrate the heritage of Vietnam. It was absolutely wonderful to meet you guys earlier this week! You two are soo cute! Great meeting you at PBFW and thanks for the tip on Morimoto and the Foodbuzz apron. I made a hearty mention of you on my blog…love SEA cuisine! Christine and Spicy Green Mango: We hope you guys can join us in this blogging event! This sounds like a great event. We'll be putting our thinking caps on and hopefully get something in before the deadline. Sorry I missed the first one, hopefully will have something up for the next one. Thanks so much for the invite.